Audioengine designs and builds innovative audio products with all your music in mind. With custom Kevlar woofers, silk dome tweeters, and hand-built cabinets, the Audioengine A5+ includes a remote control, dual audio inputs and enhanced thermal management. You can charge your iDevice via the USB power port and also add a subwoofer to the variable output. Connect Audioengine A5+ to your computer's headphone jack or pair with a USB DAC to achieve an even higher level of sound quality. The Audioengine 5+ works with any computer and there's no software to install or settings to change. 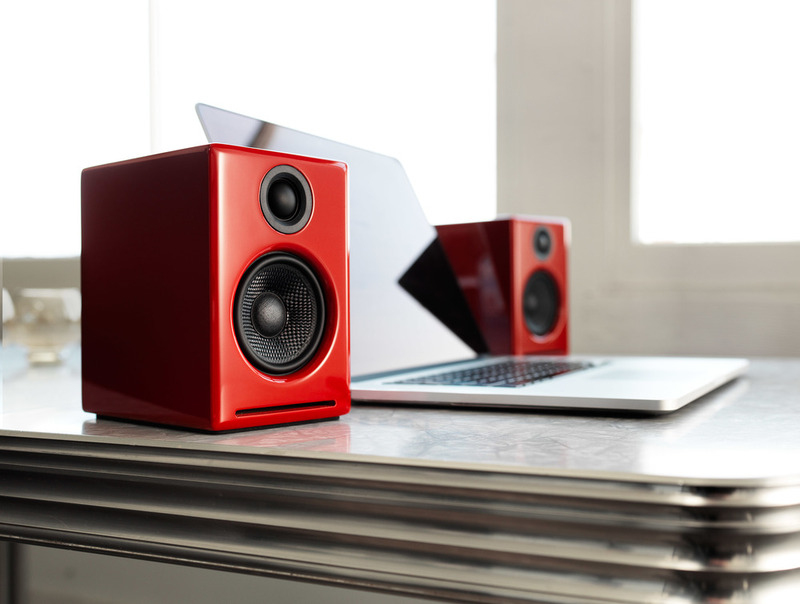 The Audioengine A5+ Premium Powered Speaker System delivers the audio performance and aesthetic quality expected from Audioengine and continues to close the gap between your computer music and home hi-fi. Even if you're not an audio enthusiast we guarantee your music will sound better!